*Disclaimer: I took this wine home from a luncheon thrown by the PR firm for the winery. A perfect wine for the summer. I recently attended a lunch for the wine brand Heritance, with owner/creator/winemaker Bernard Portet. At the end of the lunch a lone unopened bottle of 2011 Heritance Sauvignon Blanc begged for a home so that it wouldn’t have to be checked in baggage on the flight Bernard needed to hop right back to CA. Of course, I obliged and carted it home with me. 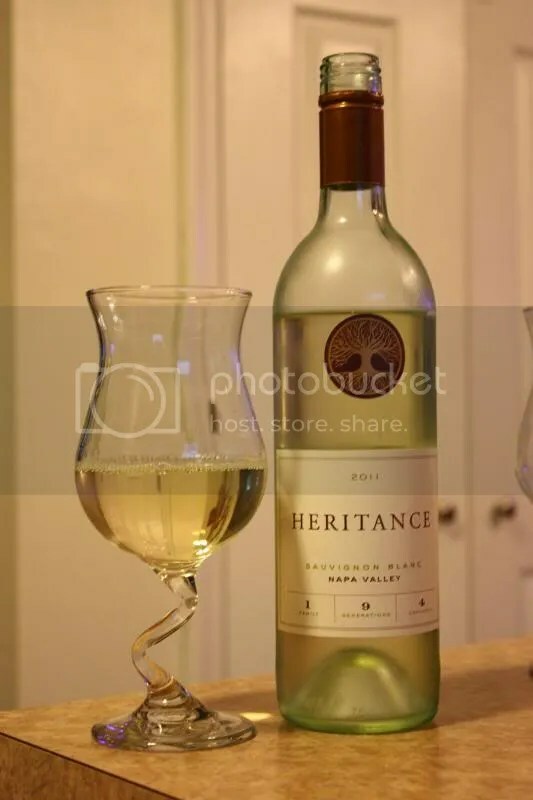 The Heritance Sauvignon Blanc retails for $24, has a screw cap closure, and clocks in at 13.5% alcohol by volume. 1.) Bernard Portet might be the most charming man I’ve met in quite some time. I truly enjoyed the experience of lunch with him, and our very small group of 5 total folks. 2.) I am particularly taken with this Sauvignon Blanc. It is blended with 12% Roussanne which lends an interesting heft to the palate while not overpowering the fruit apparent in the Sauvignon Blanc. 3.) At lunch I had the wine paired with a mesclan greens, applewood smoked bacon, poached egg with a citrus vinagrette dressing salad. Amazing salad and a solid pairing with the Sauvignon Blanc. At home, we had it with Quiche Lorraine, which confirmed my initial reaction that it pairs quite well with eggs. 4.) I was jonesing for some grilled scallops while I drank this wine. On the nose I got lemongrass, citrus, tropical notes, peach, passion fruit and a hint of the acidity to come. In the mouth I found melon, lemon, grass, tropical notes, lemongrass, and grapefruit. The Roussanne definitely became apparent on the palate and while the wine certainly had nice acidity, the Roussane lent some weight to the wine and gave it some interesting character.